The Samsara Beach Club is situated at Balneario number 5 in Playa de Muro, and is the perfect venue for your small celebrations and private events. Host your party on the spectacular island of Majorca overlooking the sea…not many beach clubs can match this offer. We provide various settings guaranteed to make your celebration simply perfect: a chill out zone with sofas; an area where you can relax with the sand under your feet; and an area furnished with tables for dining. The fields marked with * are compulsory fields. 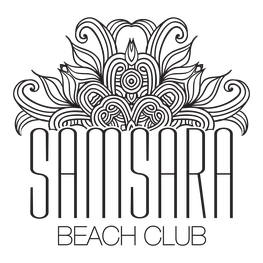 Copyright © 2017 SAMSARA BEACH CLUB. All rights reserved.